Today I visited Tsuchiyu Pass in Fukushima City where autumn leaves are getting better each day. It was so cold there that my breath turned white while taking pictures. It was a clear Sunday today and cars were clouded on the road. Even a number of bikes were out there. 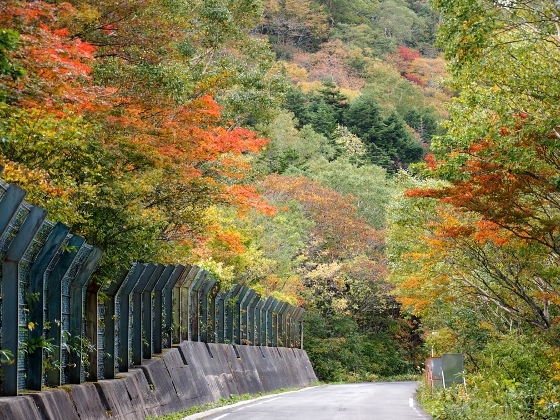 Autumn colors in Fukushima start from Azuma Mountain Range and then move south toward Adatara Mountain Range. 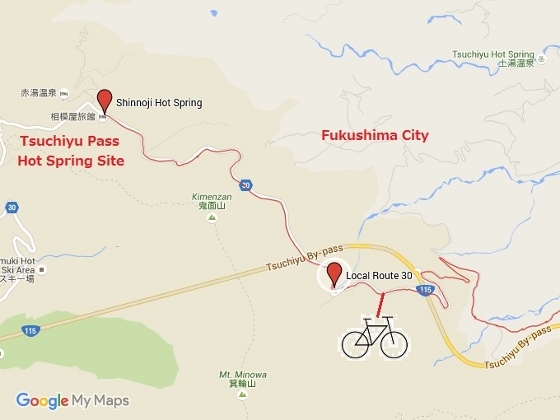 Tsuchiyu Pass is located between Azuma and Adatara Mountain Ranges and its altitude is about 1200m. It starts changing colors in early October. 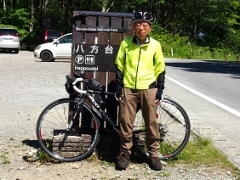 On the way to Tsuchiyu Pass, along the local route 30 which runs through the middle slope of Mt. 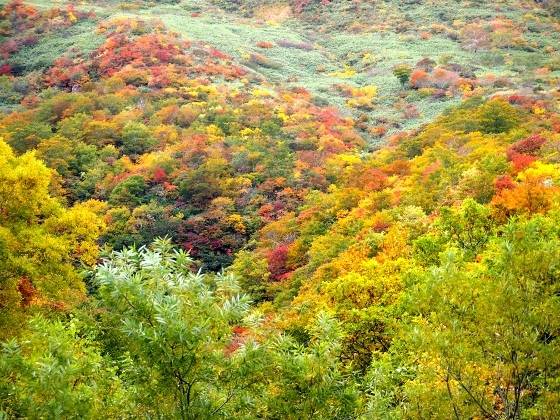 Kimen, I could see beautiful scenery of autumn colors as shown above. Mt. kimen belongs to Adatara Mountain Range. 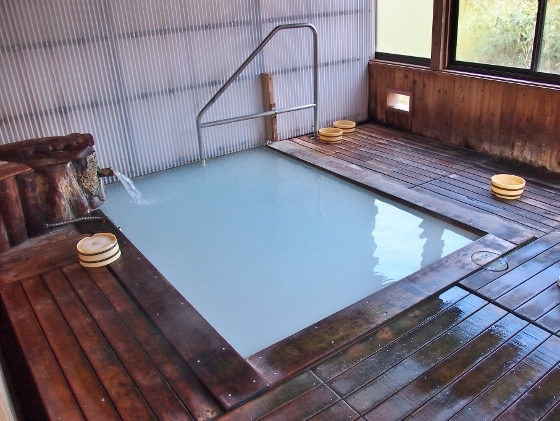 Tsuchiyu Pass Hot Spring Site is located near the Tsuchiyu Pass and it includes several hot spring inns of different hot spring sources and names. 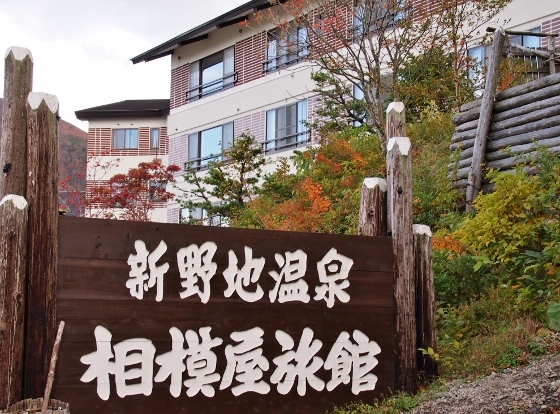 One of the inns is shown above which is called Sagamiya Inn of Shinnoji Hot Spring. It has a best quality sulfur spring which wells up from its own backyard. A grand view of northern slope of Mt. 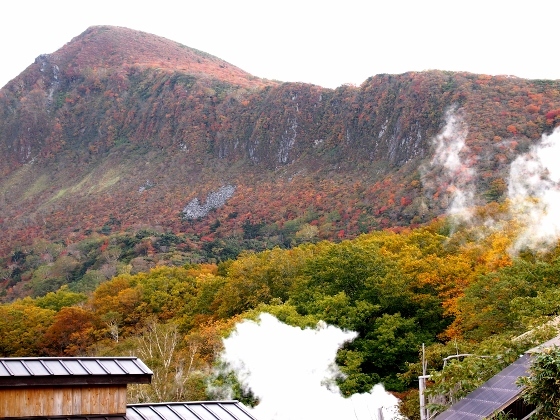 Kimen can be seen from the hot spring site as shown above. The white gas is from one of the hot spring sources.